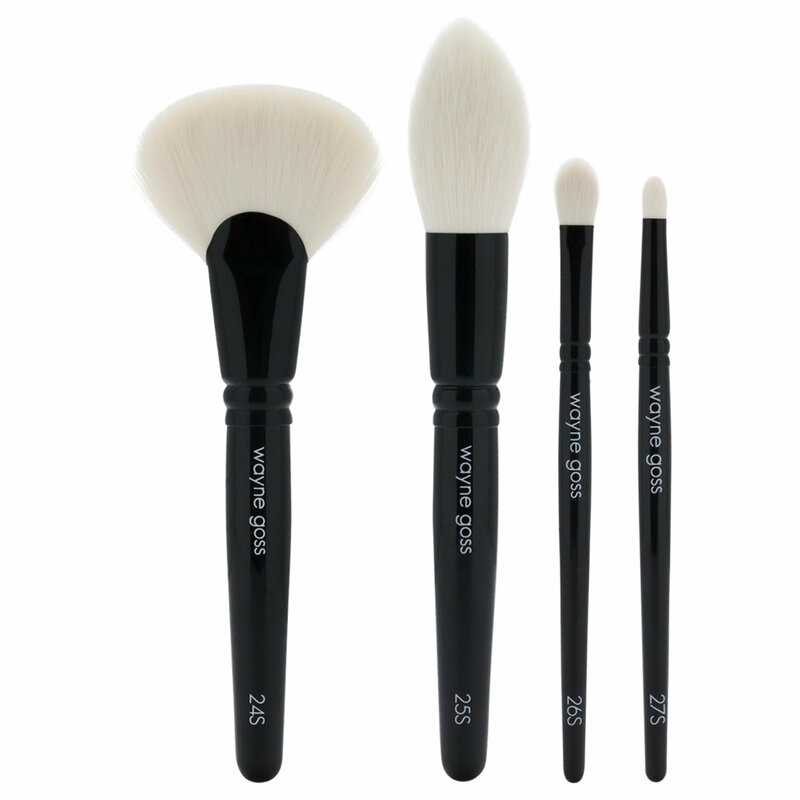 The Synthetics is the first 100% synthetic brush set from makeup artist Wayne Goss. Crafted by Japanese artisans with the softest vegan bristles, these four essential brushes give you everything you need to apply a full face of makeup with the same flawless finish as Wayne’s natural-hair brushes. Use Brush 24S to apply foundation, contour, bronzer, or highlighter. 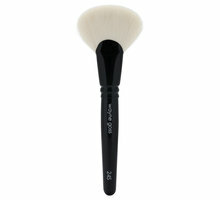 Use Brush 25S to set specific areas with pressed or loose powder or to sweep blush over the cheeks. 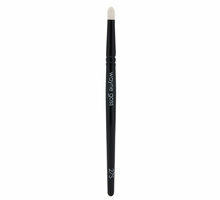 Blend the edges of eye shadow or concealer with Brush 26S. You can also use it to contour the sides of the nose. Shape and define the crease of your eye or smudge color along your lash line with Brush 27S. These brushes are the most luxuriously soft synthetics I have ever used! They are even softer IMO than the new Tom Ford synthetics and they are more affordable. Not to mention Wayne is just a lovely human so there’s that...Beautylish customer service raised the bar again by delivering these beauties at 8pm when I placed my order at noon - super impressed! Gorgeous quality. Very very soft and very very well made. To all the haters and complainers here these are WORTH THE PRICE. Wayne you did an AMAZING job with these. Love them as much as the other natural hair brushes that you released. It’s even hard to tell that these are synthetics. I find the price to be very fair considering who made them and where. If you don’t like the price go to Walmart and get yourself some brushes made in China. Love love love Wayne but $140 for synthetic?? I just feel like synthetic should be significantly less expensive than his other brushes. I guess I will wait and see the reviews from other people. 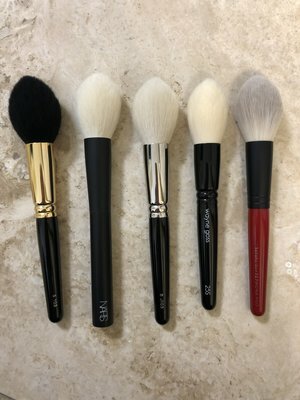 I've previously purchased Wayne Goss' eye collection as well as several of the face brushes. When I saw this launch I really wanted to try them but hoped I would regret my decision because I already have and use his brushes exclusively. Well...they came today and they do NOT disappoint!! The shape of the 25S powder brush is so unique -- I love it! I've always skipped fan brushes before but the 24S is thicker and I can actually see myself using the brush. 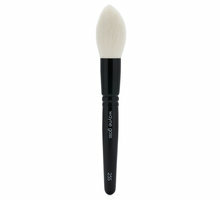 In the launch video Wayne said you could use this brush in up and down motions for foundation....I'm going to try it! The 26S blender eye shadow brush has a different shape than the similiar brush in his natural hair eye collection set and I think I may find myself using this to blend in concealer because it's the perfect shape for it. The pencil brush is a little bigger than 05 precision pencil brush and I can definitely see myself using this all the time!! 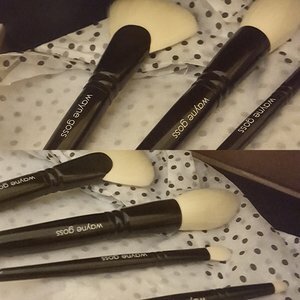 Whether the synthetic set is your first Wayne Goss purchase or you already have some of his brushes, I think this set would be a great addition to any makeup lovers collection!!! I own so many Japanese brushes. I saw these and was going to pass but then decided to order them after all. The brushes are very nice quality and the bristles are soft. I do enjoy the natural hair brushes more though. I love it when you wash the new brushes and they start to fluff out as they dry. You won’t get that effect with these synthetic brushes. I knew that would be the case but I bought them anyways. The 25S is my favorite kind of brush. It’s what made me buy the set. I compared it to many of my other brushes of the same type and I think it is almost exactly the same feel as the Hakuhodo+Sephora collaboration. Unfortunately, I never use that brush much. I have them shown in the photo below. I included a photo of my Hakuhodo F1312 (goat+synthetic) just for size reference to the 24S. These are nice quality brushes and will be great for those who want cruelty free. I think I will stick with natural hair brushes in the high end category. I think I’m happy with cheaper brand brushes when it comes to synthetics. I can't believe these haven't all sold out yet. I got my set today, and they are the best I own. I own hundreds of brushes and consider myself an expert on high quality synthetic makeup brushes. At first, I was a bit surprised at the price as well, given the amount of brushes in the set. However, these are worlds apart from anything else on the market right now. These do have a shorter handle which is nice for those who like to sit close to a mirror. The quality surpasses Wayne's original animal hair set. There are a lot of little details, such as the name & brush numbers I believe are engraved. I can feel them when I run my finger over the handle, versus his first set which was a stamp that fades over time. The quality, shape and functionality are the best of the best. I hope others invest in these to prove there is a real market for high-end synthetics. I'm not typically a fan of synthetic brushes for a few reasons. The first being that because most of them are cut to the shape they don't tend to have the beautiful softness t them. Because these brushes aren't cut to the shape I decided to give them a go with no regrets. These brushes are beautifully soft and apply like a dream. When Wayne Goss says you don't need other brushes for the home application he's telling the truth. I used these with my other Wyne Goss, MAC and Bobbi Brown brushes this week on an artistic high fashion look for an event and the results were quite simply stunning. Well worth the purchase, and I can say I have not found a synthetic that matches them in quality. AND THE LOVE STORY CONTINUES!! : A NEW DIMENSION! Just a quick preface I fell in love with Wayne's brushes upon first try of one of his #2 brush a few years back and have purchased every release and collection/set since! The artistry of his brushes is unparalleled as is the beautiful uniqueness-they are curated completely by Wayne yet respect and reflect traditional Japanese brush-making. After I fell in love with Wayne's brushes, I never thought I would use synthetic brushes again-but what Wayne has done now with his amazing artistry and innovation is create the best of both worlds-You have the cashmere soft ultra luxurious feel (and of course UNPARALLELED quality!) of his unbleached (cruelty free) goat hair bristles that give you technique and Wayne's artistry at your fingertips-now with a new dimension to his artistic vision in Synthetics. The craftsmanship and Wayne's knowledge of how makeup works with the skin makes this possible. Now you are able to be able to work with even more technique(and additional medium) in different combinations and different ways-I have the Fan Brush from The Face Set, and to see it in this dimension as a brush that gives you a whole new facet of artistry with foundation-the flawless and divine blend of applying foundation with a brush like his #1 Anniversary combined with this brush which allows you to disperse and blend in different ways, use powder in different ways- AND working with contour(for example working with a liquid or cream contour product(ie Charlotte Tilbury's gorgeous Hollywood Contour Stick!) The Large Powder is also exquisite, the way it disperses and blends is impeccable-if you already have Wayne's brushes, again, you have new dimensions/technique at your disposal and the joy of being able to add these to your collection and having the two types in concert! With the smaller brushes, you have some new tools in your arsenal as well! : with the softness and luxury of Wayne's brushes that enable you increase your range of technique even further, the Flat brush allowing you to apply blend concealer, of course to use with shadow- with the smallest brush, being able to use it under the eye with pigment/shadow (I'm a Natasha Denona shadow lover;")) but not have the rough feel of a normal synthetic on the eye. I disagree with the other reviewer about "price for synthetic'' ie the price being to high for synthetic-these brushes are the same gorgeous, unparalleled quality of Wayne's non synthetic brushes with synthetic bristles, so I think that especially for the amazing versatility, they are well worth a splurge. To summarize, just impeccable, a new take to add to your collection or just as special if you are trying Wayne's brushes for the first time! Artistry at it's finest. You will enjoy these immensely, don't hesitate! These are the best synthetic brushes I have ever felt. They are so soft! Even a bit softer than the real goat hair used in the face set (The white ones). So worth the money. Try them! Amazingly soft brushes! They feel so soft on my skin and I honestly can’t feel and see the difference between these brushes and my Surratt and Sonja G brushes! It’s just a great option.